‘…Flippant and profound in equal measure, with artful delivery from the baritone Jonathan Estabrooks, they proved perfectly matched to Mr. Kahane’s omnivorous musical character…In excerpts from a show in progress by Mr. Steel, Mr. Estabrooks’s uppity way with a mock Princeton “Fight Song of ’49” worked hilariously’. – David Allen, The New York Times. Written by Marco Fioravanti January 22, 2015. Jonathan Estabrooks was born in Ottawa in 1983, is a baritone, a graduate of the prestigious Juilliard School, famous both in Canada and the US, both in the world of opera that the musical. Jonathan began his musical training as a member of the choir of the Opera Lyra Ottawa Boys Choir and Opera Lyra. In 1994 he participated as a shepherd boy in Puccini’s Tosca. In 1993, instead he joined the Society of Musical Theatre, and appears in productions such as Annie, Oliver! as “Oliver Twist”, the Will Rogers Follies, and West Side Story. He received his Bachelor of Music at the University of Toronto in 2006 and a Masters Degree in Music from the Juilliard School in 2009, where he studied under Marlena Malas. There are many commitments and awards that Jonathan collects at home and around the world in the following years, but the stroke of genius takes place July 15, 2013 when Jonathan manages to successfully collect $ 25.730 USD on the website Kickstarter funding popular for registration His debut album with the orchestra. Titled “These Miles” was released in 2014. The album is a collection of various situations, there are elements of fusion of classical, pop and musical theater classic with the accompaniment of Macedonia Radio Orchestra. In the disk there are several collaborations, Simon Cowell, tenor Jonathan Antoine, former duo Jonathan and Charlotte, the new age pianist and author Jennifer Thomas. It was produced by Dave Reitzas, winner of four Grammys, from Oran Eldor and Jonathan himself. The album was recorded with the help of over 50 musicians from around the world. This album is made up of a series of covers of famous artists such as Edith Piaf, Charles Aznavour, Elvis Presley, Neil Diamond, Elvis Costello. The mix of songs on this cd is very inspired. There is a bit ‘of jazz, a bit’ of classical, a little ‘pop … it is as if this man could sing anything! His voice kidnaps you and takes you on a world he creates, different in every song he sings. A disc wonderful, beautiful, relaxing, listening to at any time of day or night. CHRISTMAS SINGLE and MUSIC VIDEO! ‘O Holy Night’ NOW on YOUTUBE! We may be dreading the cold, but what better way to embrace the season than with a new Christmas single over a glass of wine or tea. 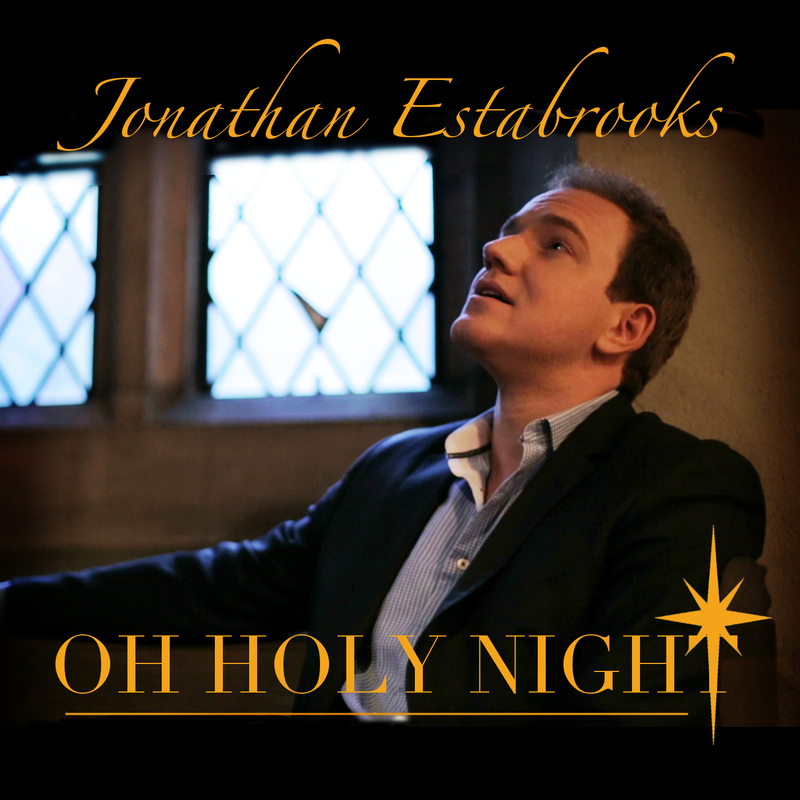 As one of my favorite Christmas songs and in celebration of the season, I wanted to share my very first Holiday single ‘O Holy Night’ now available on iTUNES, CDBaby and Amazon.com. I had a blast directing my very first music video with the help of Joshua Johnson and musicians Brent Funderburk and Mitch Lyon, filmed in the sanctuary of the beautiful Scarsdale Community Baptist Church. I hope you enjoy it and consider adding the single to your holiday playlist. Only $0.99 on iTUNES and CDBaby! and many other digital retailers Worldwide! How about a great HOLIDAY GIFT? My debut album ‘These Miles’ is available custom signed through my website, Amazon.com and wherever digital music is sold. CLICK HERE to learn more! Find me online for new music, updates, announcements and more! I am pleased to announce that this November I will be making my Vancouver Symphony debut in a program of Lerner and Loewe. I am excited to once again join Maestro Steven Reineke and this fabulous orchestra in a great program of classic Broadway. To all my West Coast friends and fans, I would so love to see you there! I’ll be signing copies of my debut album ‘These Miles’ after the show near the music store so be sure to swing by and say hello, take a picture or buy an album! Would be great to see some familiar faces! I am excited to announce that I will be the featured guest on YTP Radio, part of BlogTalk Radio at 8pm EST on July 8th. I will sit down with Kenn Vasquez to chat about my debut album ‘These Miles’ my musical journey thus far and plans for the future. I hope you’ll tune in live or on-demand. The interview will go love at the following link at 8pm on July 8th. I am excited to announce two upcoming performances in the New York area on June 20th and 22nd. On Friday, June 20th and Sunday June 22nd I will perform the role of Belcore with New Rochelle Opera. The Sunday matinee will be followed by my return to Rockville Centre with the St. Agnes Cathedral Orchestra and Chorus to perform Brahms Eine Deutsches Requiem. Cathedral Choir of Men and Boys, Cathedral Chorale, Cathedral Singers, Diocesan Boys Choir (and Teens!) of Rockville Centre, Soloists and Orchestra. Premiered in 1776, when Mozart was 20 years old, the “Organ Solo Mass” has a youthful quality which will ring true as it is performed by our marvelous singing boys of the Cathedral and the Diocese, supported by the experienced men and changed teen voices of our tenor and bass sections of the Choirs. The work is made even more charming by the use of a solo organ part, giving the piece its special “nickname:” Organ Solo Mass, which makes its appearance in the “Benedictus” section of this concert mass. Soloists for the concert will include Mr. Jonathan Estabrooks (a graduate of Juilliard) from Toronto who just released a new cd, Christina Franco Stahnke from the Florida State Opera (who grew up in the St. Agnes Choirs! ), as well as our own wonderful cantors/soloists: Holly, Peggie, and Christina. Vocal fans will be excited by this debut from Estabrooks, a Juilliard-trained baritone from Ottawa. Already well-traveled and acclaimed from Carnegie Hall to opera stages, he’s veering off the well-worn path for classical vocalists. Using Kickstarter and social media, he’s established a fan base, and now delivers with a mix of pop, musicals, and a little bit of opera. Using rich orchestral arrangements, Estabrooks performs a few surprises, including Neil Diamond’s Play Me. The blend of acoustic guitar and strings are a lovely reminder of 70’s pop balladry, his vocals rich and poor, but wisely his full power is held in check, as he could easily overwhelm the delicacy of the number. Another strong choice follows, the gentle Kathy’s Song from Simon and Garfunkel, performed with even more restraint, the higher key bringing out a sweeter vocal. There are a couple of over-heard selections that feel a bit ho-hum, the ubiquitous Time After Time, Always On My Mind and yet another version of Aznavour’s She, but those are redeemed by a fun Any Place I Hang My Hat Is Home by Mercer/Arlen. For that taste of his more classical material, there’s a duet with Jonathan Antoine, the British teen vocal sensation, Por Una Cabeza. Estabrooks can sing anything wonderfully, and seems to have the personality and drive to connect with a broad audience. It’s all class, and an uplifting and soothing listen. Jonathan Estabrooks makes a long-awaited Debut! Ottawa-born baritone Jonathan Estabrooks currently isn’t a household name. His decision to create an album that showcases his talents as well as ambition may soon change that fact. The list of Jonathan’s credentials is as long as the road it took him to get to this point in his career, where he can record a debut album with all the tools a seasoned veteran possesses. Estabrooks has been singing in operas and acting in musical theater his entire life. Notable benchmarks include a bachelor’s degree of music from the University of Toronto, a master’s of music from the Julliard School, countless symphonies across the continent, and performing in front of Bill Clinton. Impressive accomplishments indeed, but none as impressive as his debut album, These Miles. These Miles sets out to encompass all of Estabrooks’ musical styles and influences, and they are plentiful. He has spent years in the world of musical theatre and classical music, yet is comfortable with pop, country and other genres. These elements are all blended together perfectly by Grammy-winning producer Dave Reitzas with the help of the Macedonia Radio Orchestra. Fellow classical crossover artists Jennifer Thomas and Jonathan Antoine guest on the record. Add Estabrooks’ perfect timing and delivery and you have something worthy of the finest Sunday morning listen on your headphones. The vocals leave you longing for nothing, and considering the songs tackled here that is a large compliment. He makes pop classics such as “Time After Time” and“Always On My Mind” his own, and standards like “She” and Simon and Garfunkel’s “Kathy’s Song” are covered with ease. 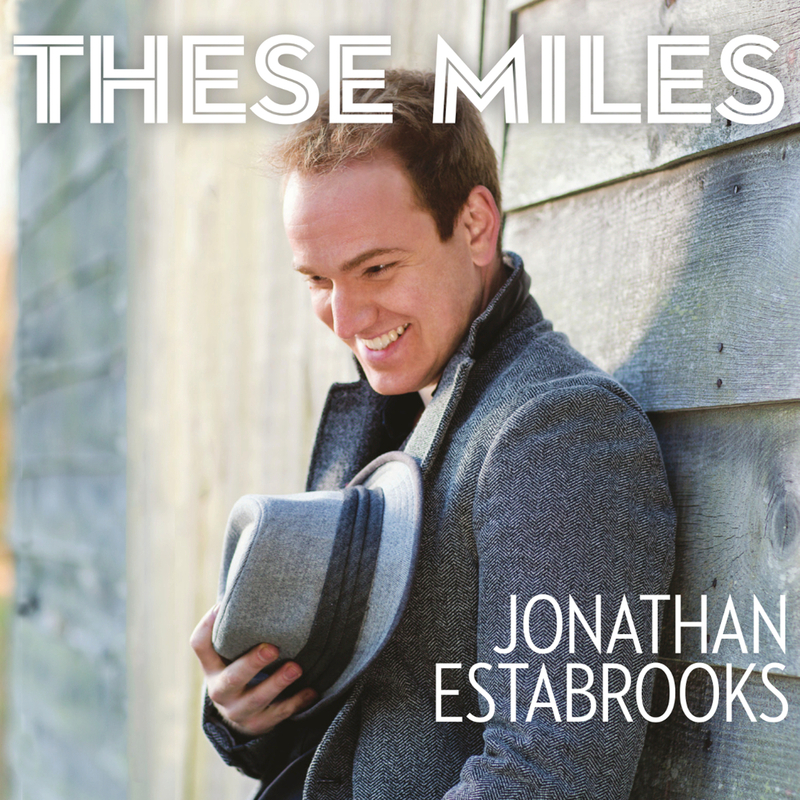 These Miles was made available last week with launch parties in Toronto, and Jonathan will be appearing at the Roy Thomson Hall on May 20th and May 21st. Jonathan Estabrooks makes a triumphant return to his hometown with an intimate performance at the NAC’s Fourth Stage Thursday, April 10. The classically-trained baritone spent time with Opera Lyra, and with various musical theatre companies before following his musical education at the University of Toronto and the famed Juilliard school in New York, where he is now based. His debut album These Miles was independently released on April 8, with funding to the tune of $27,500 raised through the crowd-sourcing site Kickstarter. Labelled one of the “new breed” of classical performers, Estabrooks is active on Twitter and Facebook, interacting with fans and even procuring musical collaborators like Jonathan Antoine and Jennifer Thomas. Q: Tell me about your musical upbringing and how you got to this point? A: I grew up in the Ottawa South area, and then went to the University of Toronto and then Juilliard, and I’m now based out of New York, so this project is one of many, but I had long wanted to do a crossover project like this that involves a real cross-section of styles. I grew up with both classical and popular influences, especially being involved with musical theatre in Ottawa, and I performed throughout the city. I’ve always had an eclectic mix of musical tastes, so to do an album like this that really is a cross-section of classical and popular styles, with a full orchestral sound, it just snowballed and took off. Q: Tell me about the role of crowd-sourcing, like the Kickstarter campaign, in making These Miles. A: We look at the music industry now, and people say the recording industry is in such shambles, and it’s so hard to make money as an artist, but then you look at these creative platforms that allow people to micro-fundraise. Even the Obama campaign and how they were able to fund it from such a grassroots level, with just $5 and $10 donations. The idea that you involve people in the community of the project, and they’re involved with you, you let them follow the creative process with you, it does two things: Not only can you raise the funds, but you build a fanbase that really feels as if they’re part of the final result. And they really are. 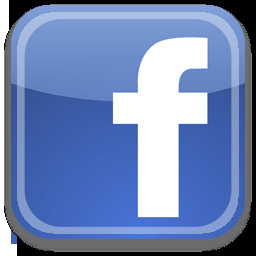 I even sourced my cover photos to the fans through Twitter and Facebook, so it really does go beyond anything else, it’s about building a relationship that you hope will last well into the future. We surpassed the $25,000 goal, which was amazing, but just to connect with people. About 70% of people who donated were people I didn’t know, from all over the world. So all aspects of social media were involved. Q: You’ve been called “the new breed” of classical performer. Is there some resistance to this new world from some staunch classical purists? A: The old school classical crowd may be resistant, simply because they don’t understand it, and I think the more we can engage people and realize at the end of the day, it’s about making great music, something that speaks to you, then it plays on the same emotional tones. If we can find ways to reach people by using traditional marketing tools, as well as newer tools to get the word out, it’s a win-win. As long as your doing your art with an understanding of high-quality, high-calibre performance, then why not? Q: How did you go about choosing the tunes? A: I really wanted to pick songs that spoke to me, and the album as a whole talks about journey a lot — journey in life and in love. A lot of these songs I grew up around, with my dad playing Roy Orbison records, or The Everley Brothers, Simon & Garfunkel. But we went through so many songs, and whenever you’re doing an album of covers, there’s always the question of how can I make this my own? So my goal was never to become a songwriter, I wanted to pick other people’s songs that I could make my own, and at the same time people could see them in a different light.